The first floor units have 9 foot ceilings. This floor houses the non-climate and some of the climate control units. The second floor has 12 foot ceilings. The cubic footage in the second floor units is huge in comparison to the storage units of the first floor when you consider the added ceiling height. This floor is accessed by a spacious freight lift. 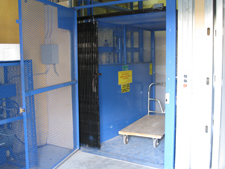 The lift makes it simple and easy to access the second floor storage units. Units are rented on a monthly basis. Access to the facility is gained through a pass code given at signing of the lease. Hours of access are 6AM to 6PM 7 days a week. However, access can be granted outside these times on an as needed basis with pre authorization. We understand that our customers can have special schedule needs that make it necessary for them to access their storage units outside of our normal business hours. 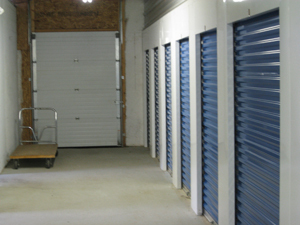 We value your business and will work with you to make your personal or business storage units accessible.